CoilyQueens™ : "Taking down your braid extensions"
"Taking down your braid extensions"
It's time to remove your braids. If your goal is to grow long healthy hair, then never leave your braids extensions in your hair longer than 10 weeks and never make the braids micro small. This is the second most important step within the BRG-Step five technique. If you mess up your extensions removal process all of your hair growth and hard work will be destroyed. Thousands of black women have achieved great length while wearing hair extensions, only to be left with thin, scraggly hair, because they did not remove the hair extensions correctly. You do not have to be one of those women; read this article in its entirety and gather all of your tools before removing your single braids, twists or cornrow extensions. Braid, Retain & Grow-Step five will show you how to eliminate breakage when removing your braid extensions or cornrow weave base; it will also show you how to reduce the shedding which occurs during the removal process. Before you begin taking down your braids, realize that on average, you shed between 70-100 hairs a day. When removing braids which have been in for weeks without any manipulation, you will experience lots of shedding. This shedding is natural, this is the hair that would of come out on a daily basis if you hair were not braided up. Before you start your braid extensions removal process, you will need the following items: a thick conditioner, seamless medium teeth comb, a plastic sandwich bag, hair clips, grapeseed oil, manicured fingernails free of snags and plenty of time and patience. 1. Be sure your fingernails are freshly filed and oiled. Your fingers will do most of the work when removing your braid extensions. If you have any hangnails and snags in your fingernails this will break your hair, so give yourself a manicure before your begin and oil your fingernails really good. 2. If your hair is short and you are absolutely sure where your natural hair stops in the braid, then cut your braids one inch below where you know your natural hair stops. This will save you several hours in removing your braid extensions. Only cut your braid extensions if you are sure where your natural hair stops. If you are not sure, then start at the end of the braid extension and using your fingers unravel your braid or twist. If you find that your natural hair has matted or stuck to the extension hair, then apply some of the grapeseed oil to the your hair as you are unraveling the braid. If you come across a snag or knot do not tug or force it, stop apply some of your thick conditioner to the knot then continue to slowly unravel the braid carefully. 3. Once you have removed the extension hair from your natural hair, apply a generous amount of conditioner to that piece of your hair. You will do this after each extension that you remove. Allow the conditioner to soak into your hair for about 7 minutes. You will repeat removing the next extension and adding lots of conditioner to the section for about 5 braids, then go back to the first braid you removed and start to untangle each section of your hair. 4. You will use only your fingers to untangle your natural hair and remove all knots or tangles from each section of your hair, using as much conditioner as you need. Many times you will feel a knot where the hair extension was attached and sometimes you will see an accumulation of lint and dust. You want to gently unravel this slight knot, this is where most people loose the most hair in removing this tangle. Start by gently pulling your hair horizontally, continue until you feel the hair is untangled, then start to untangle in a downward motion. 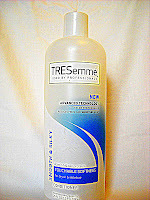 You will do this for each section of your hair until it is tangle free. Once you have untangled 5 braids then clip that hair out of the way. Once you get a larger section untangled then add more conditioner and grapeseed oil and put that section into a big twist, so your hair stays untangled as you finish your entire head. Soak each section in conditioner. 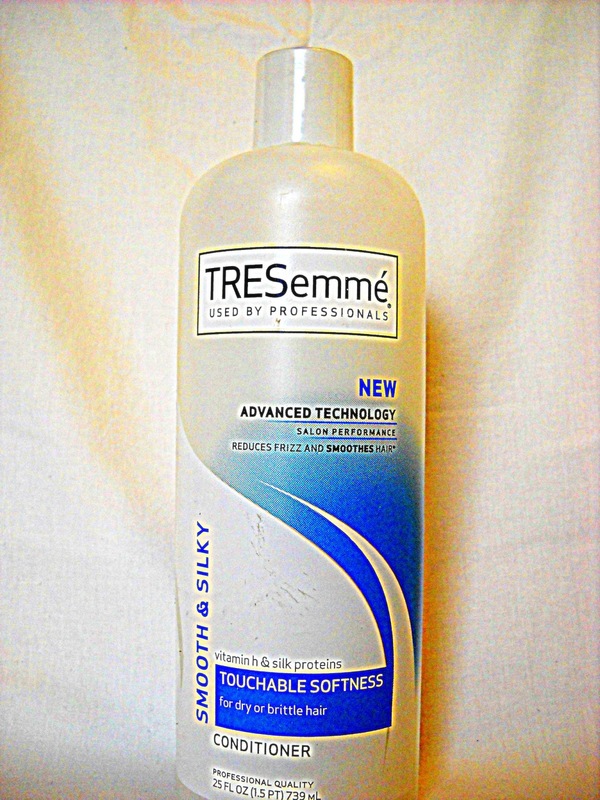 you can run your fingers through your hair fairly well, then you can comb your hair (if desired) using a seamless comb. A seamless comb is a comb which has no lines on the teeth of the comb, so it does not snag and break your hair as you comb it. The CoilyQueens regimen recommends that you do not use a comb at all but that you use your fingers, but if you must use a comb invest in a comb which does not break your hair. 6. After you have shampooed and deep conditioned your hair and allowed it to air dry to style, all of the shed hair should be removed by now. If your hair is still breaking or shedding after you have shampooed and deep conditioned, then you may want to try a black tea rinse to give your strands a little reinforcement or if it has been 6 weeks since your last hard protein treatment now is the time to give yourself one before you experience to much breakage. Remember braid extensions of any type should not be kept in for longer than 10 weeks, keeping them in longer will result in unnecessary breakage. 7. This is the hair extension removal process for the Braid, Retain & Grow method, if you would like to know the entire regimen to ensure that you receive maximum growth benefits from your braid extensions, read here about the whole method, Miss Vee's Braid Retain & Grow method. A fabulous Twist n Curl!